"It's always been one of our dreams to catch a big fish. 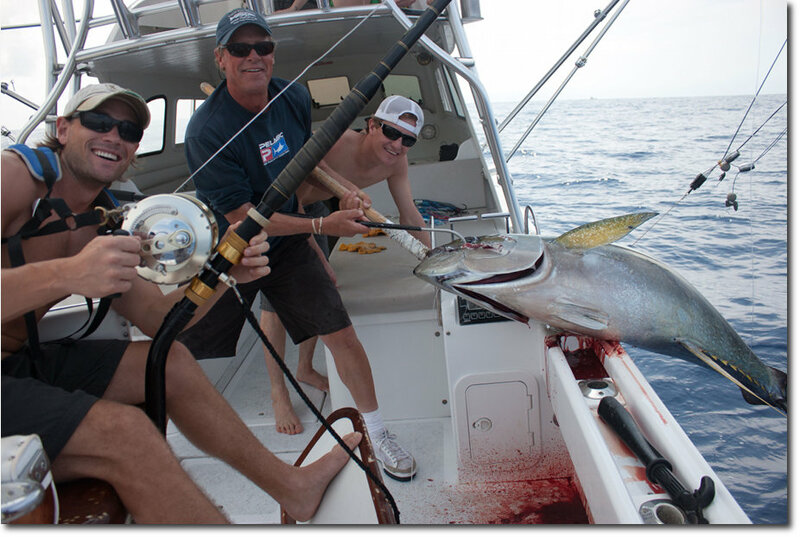 We had gone deep sea fishing three other time's, all in Mexico. We were either on a shared Charter and it wasn't our turn on the pole or we didn't even get a bite. We chartered the Lepika and Capt. 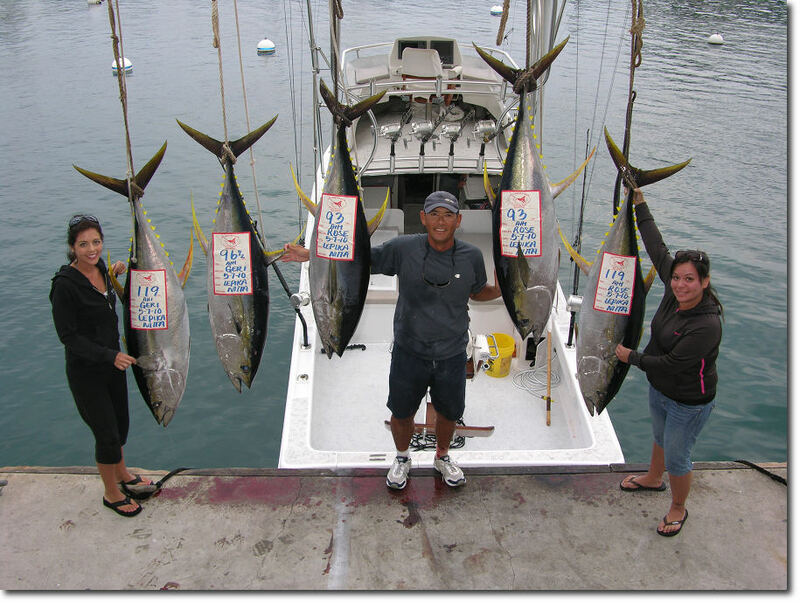 Russ Nitta for an exclusive full day charter. Capt. Russ worked hard to get us into fish. He knows his business well and made us feel comfortable on his boat. Captain Russ is a great coach. Thanks for fulfilling my husband's dream. 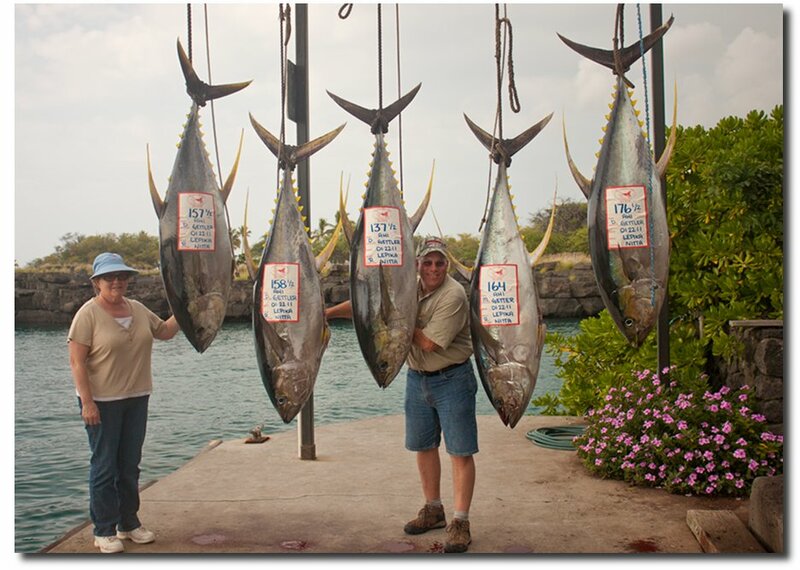 5 big ahi in one day from 134lbs - 176lbs! We'll be back next time for a Marlin or Swordfish." 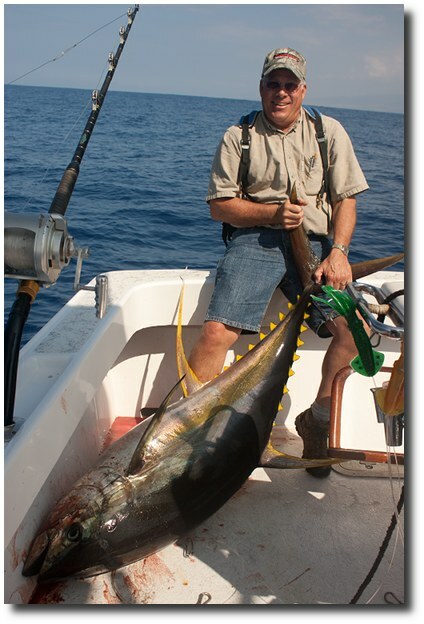 "My son and I have fished every Spring with Russ on the Lepika for about 4 years now. On every trip he's consistently got us into quality fish. Not only is he a great fisherman but he cares about getting you hooked up and goes the extra mile to find fish. If you want to fish with someone who is passionate about fishing, fish with Russ. You won't be disappointed!" "This was our first time fishing offshore! Russ helped us land fish we never thought we could reel in. It was hard work but we did it! Thanks again Russ for making this trip unforgettable!"